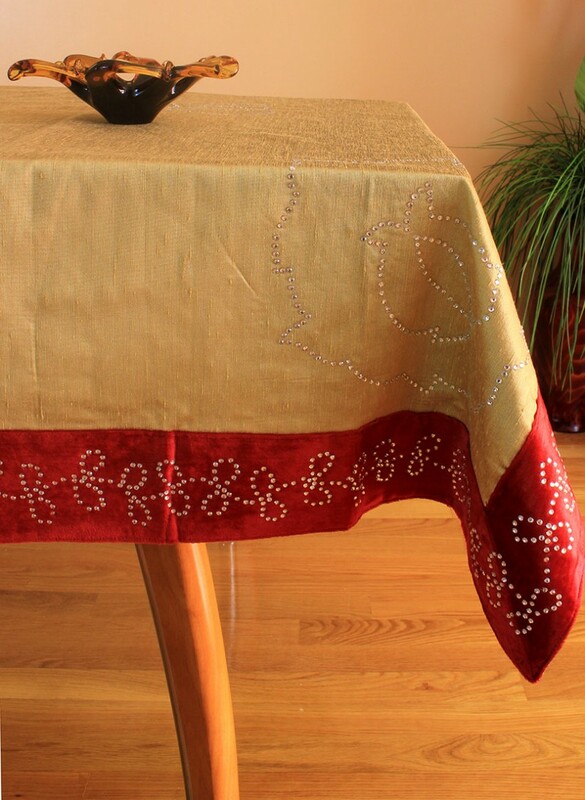 Luxurious Velvet Sparkle Rectangular Tablecloth features an elegant and exclusive design crafted with sophisticated hand stone work to achieve a one of a kind look for your table. Elegance, beauty, and exclusivity are all the special features of our Velvet Sparkle 52" x 70" Rectangular Tablecloth. 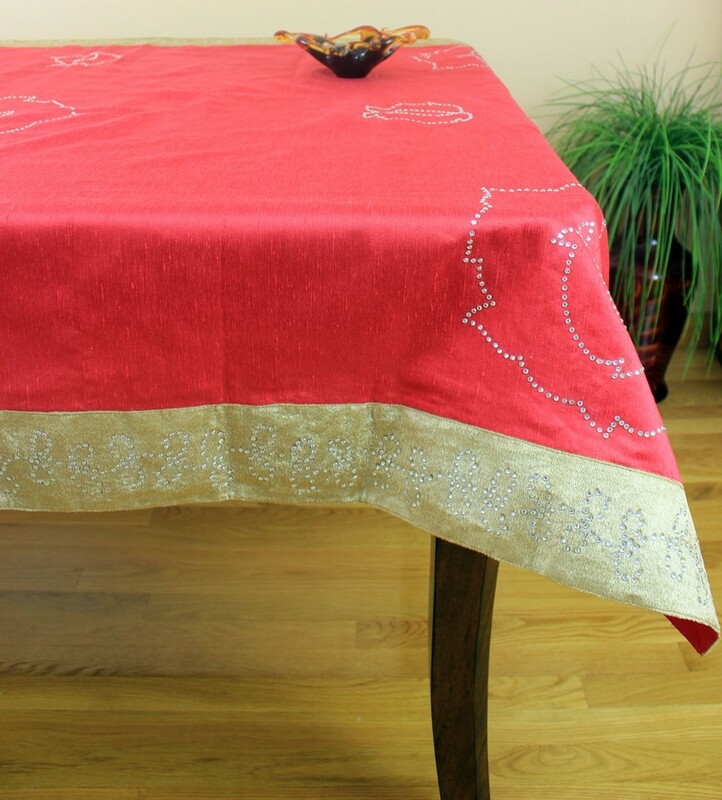 Crafted in India, this beautiful tablecloth is the perfect decoration for the holidays, parties, events, and celebrations. Its border features beautiful crystals that have been incorporated by hand, resulting in a glamorous and luxurious appearance. 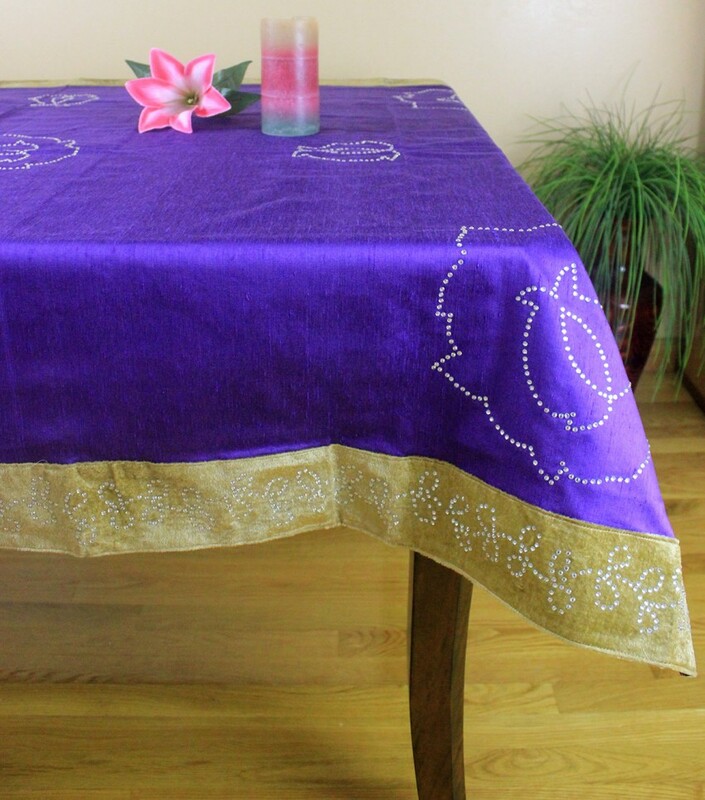 At Banarsi Designs, we offer one of a kind linens for your tabletops. Let us bring beauty to your surroundings while you enjoy your special moments. 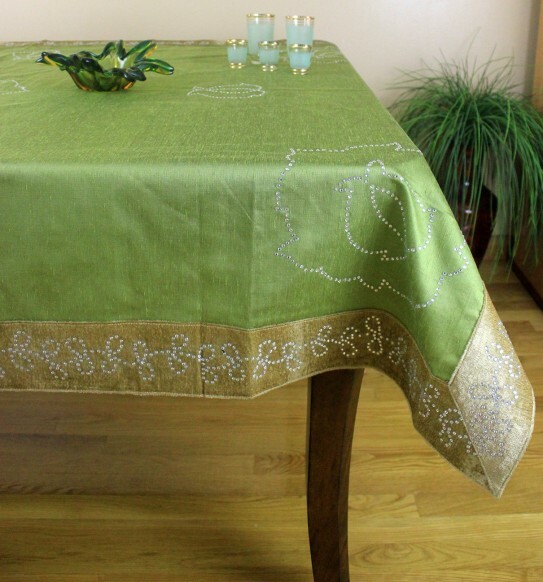 Perfect for decorating your tables for a special event or party and is also a wonderful gift idea.